September is when my Canadians come to visit. I expect to see them in about a week. I refer to them as "mine" because they always stop and spend time on my beach. A small wetland across the road drains into the bay and they stop here for a drink of fresh water. 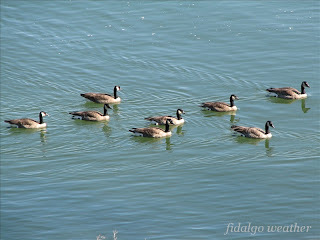 Canada Geese (Branta canadensis) are year-around residents here according to Birdweb, but I only see them in September. This tells me these birds are on migration, snowbirds heading for winter homes in California and Mexico. 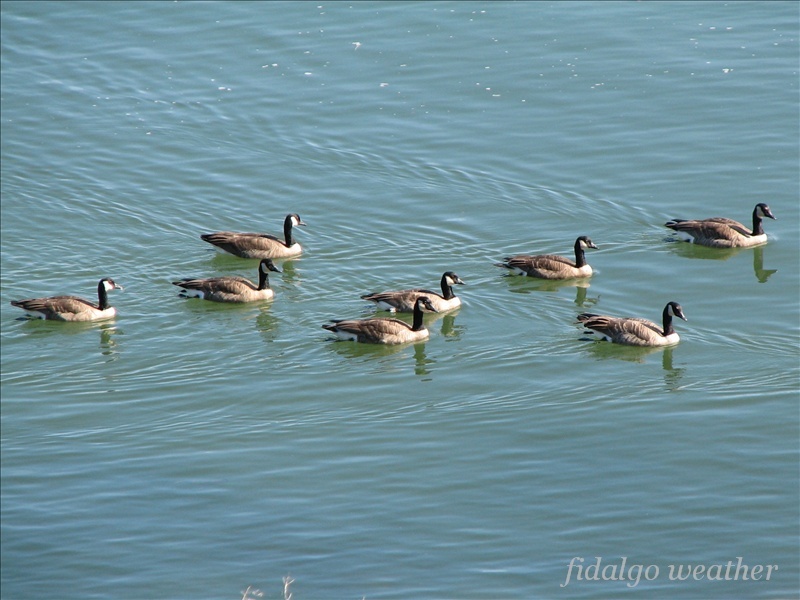 I am reminded of a scene in the remarkable film Winged Migration in which Canada Geese are seen catching a drink in Monument Valley, Utah. After getting a drink, they will sometimes sleep in the sun with heads tucked under wings. This is a pleasant site, and I am glad they feel comfortable here. I have been observing their annual arrivals for more than twenty years. They are so predictable, their visits can be used to set the cosmic clock.